My favorite Ohio blogger, Cyrsti (of Cyrsti's Condo fame), penned an enjoyable post titled "The Science of Bras." I recommend it to all you brassiere wearers out there. Just a memory... my mother usually called it a "brassiere," seldom a "bra." And on those rare occasions when she did call it a bra, she said it as if it was a dirty word! That's my Mom ― go figure! And my answer to Diane von Furstenberg's famous quote, "Feel like a woman. Wear a dress!" is, "Feel like a woman. Wear a bra!" 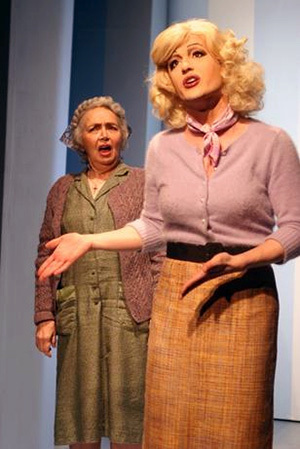 Actor Vince Gatton (right) in the 2006 stage production of Dorothy and Candy. 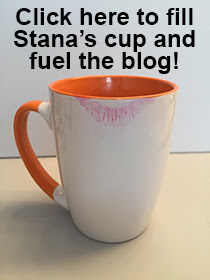 Thanks so much for the compliment Stana :) Am I the only blogger you follow from Ohio Lol! Seriously you know I think your blog is the "Gold Standard!!" Has been on the web since 2002. Guess there was group called Men And Bras, on the old Filterpost site before MWB forum. One needs to create a user name and a few other requirements to join MWB.